EDINBURG — UTRGV baseball coach Derek Matlock inherited a mostly complete schedule when he was hired in June, but he wasn’t content with the slate his predecessors had built. Matlock wants UTRGV to be tested by the strongest competition possible, so he nixed a few games against lower-level opponents and replaced them with matchups against Power 5 schools Washington and Texas Tech. UTRGV announced its 2018 schedule on Friday. Matlock scheduled a matchup at Washington on April 23 to immediately follow a series at Seattle and booked Texas Tech to come to Edinburg on Feb. 27 after the Red Raiders finish tournament play in Houston. The meeting with Texas Tech is one of two home games against Power Five schools, as UTRGV also hosts Mississippi State on Feb. 26. 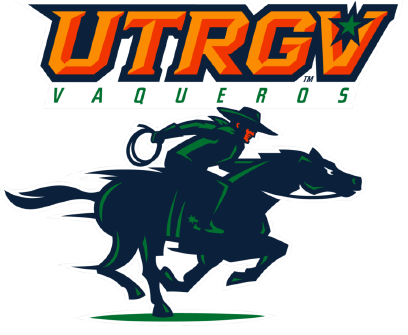 The 2018 season will be the first time UTRGV hosts multiple games against Power 5 opponents since 2010. Texas Tech advanced to the NCAA Regionals last year, while Mississippi State reached the NCAA Super Regionals. Matlock said the matchup against Tech was secured partly thanks to assistant coach Russell Raley, who was an assistant at Texas Tech in 2013. UTRGV also travels to face College World Series participant TCU on March 6 and NCAA Regional qualifier Texas on April 17. Matlock said he will be looking to secure more challenging matchups in the future, though he acknowledged that getting teams to travel to Edinburg can be a challenge. Mississippi State will make the trip to UTRGV the day after completing a tournament in Corpus Christi. Matlock spoke highly of his roster’s performance during fall practices, specifically citing senior infielders Austin Siener and Ivan Estrella, sophomore infielder Tyler Torres, senior catcher Noah Lee and junior Anthony Gomez, who shifted back to an infield role during the fall. From the group of newcomers, Matlock highlighted Coleman Grubbs, a transfer from North Central Texas College who “this fall has looked like a superstar.” He also pointed to Jorge Flores, a PSJA High product who arrives at UTRGV as a redshirt junior by way of Navarro Junior College and Louisiana Tech. Matlock said Flores is still in the process of recovering from Tommy John surgery.